WITH INCREDIBLY FLEXIBLE CASTING FOR PERFORMERS OF ALL AGES!!! Sunday, February 18 @ 2:30 p.m.
Monday, February 19 @ 6:30 p.m.
and many other national and international productions and tours. Mark York, the show's composer and lyricist, and authors Andree Newport & J.K. Langlois. and a myriad of dance styles featuring the delightful residents of Wonderland! Auditions are open to males and females ages 5 to adult. All roles are available! OR you may sing the optional song segment provided below. (The music for Lost in Her Wonderland covers a variety of styles, from vaudeville to 1960s pop. No a cappella vocal auditions. All those auditioning may be vocalized. Everyone should come dressed to move with appropriate shoes. Limited reading may be required. Be prepared to list any conflicts with evening, weekend and daytime rehearsals from March 18 through July 23. Rehearsals will not be held every day, but this information will help us schedule rehearsals around cast members' existing conflicts. To save time at the auditions, you may DOWNLOAD THE AUDITION FORM and complete it beforehand. 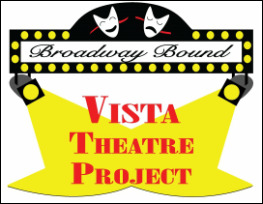 ​will be presented August 2-5 in Cardinal Newman School's Anna Tronco Williams Performing Arts Center. There is no fee to audition for Lost in My Wonderland. Those individuals who are cast in the production will not have to pay any type of participation or class fee.